Kentucky Splash Waterpark and Campground, Williamsburg, Kentucky. Information, Photos and Reviews. We offer a waterpark with 5 big slides, a lazy river, wavepool and kiddy area that includes 2 slides. We also offer a 18 site full hookup campground with 5 tent sites. Open Memorial Day weekend through Labor Day weekend. Please see our website for weekend only dates in late August. Admission is $10.00 a person everyday for the Waterpark. We also have a 18 hole miniature golf course as well as a driving range. Come play and stay! Nobody has reviewed Kentucky Splash Waterpark and Campground yet, Be the first. You are submitting a booking enquiry. 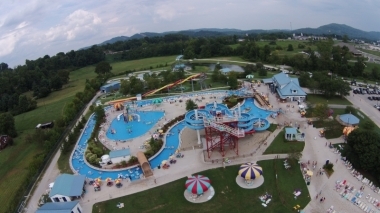 Kentucky Splash Waterpark and Campground will then contact you by email with details of availability and prices.